Fine Dining for Dogs from Fish4Dogs | Squid Bites and Calamari Rings Product Review. Now you guys know how much Lottie loves her food. 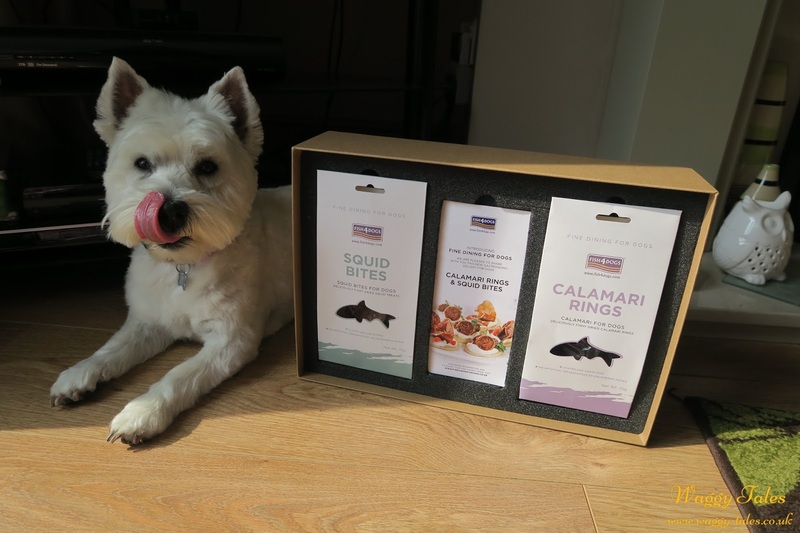 So when Fish4Dogs approached us about reviewing their recently launchd luxury treat range, Lottie could not wait for them to arrive. As the name suggest it all evolves round fish. Fish4dogs offer a high end range of treats and complete based kibble for dogs. They are a small independent company based in Worcestershire. The idea behind Fish4Dogs was to use, productively, waste from the fish industry. Humans only eat 50% of the fish despite the rest being perfectly nutritious. All the fish used is sourced from Norway, which offers clean clear waters. A well regulated and controlled fisheries industry allows high quality fish with excellent sustainability credentials. 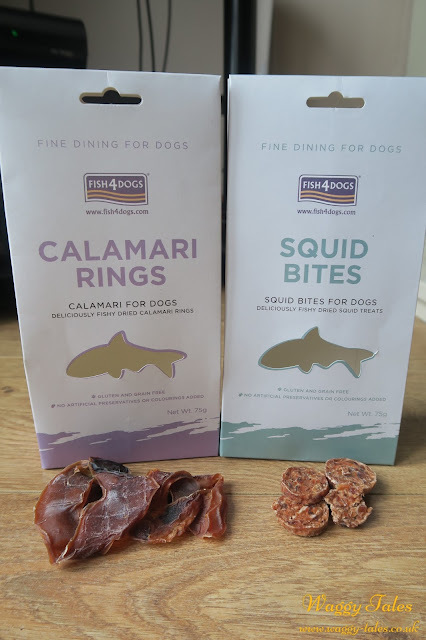 Fish4Dogs have just launched a new range of luxury calamari treats for dogs. These treats bring the wonders of sophisticated fine dining to the canine world. Made from oven baked squid there are two products within the range. Calamari Ring Treats - made from 100% oven baked squid. These treats are ideal if you want to know exactly what goes into the treats you are feeding your dog. As the name suggest they are formed into rings so are ideal to give as a extra treat before bedtime. Squid Bites - also made from oven baked squid these treats are definitely going to wet your dogs appetite. Containing three simple ingredients - Squid 92%, Vegetables 5% and Glycerine 3% (made from palm tree so completely natural and safe). They are soft, so are easily broken up making them ideal for high value training treats. Now I must admit I'm not a big fish eater myself so I would never dreamt of buying baked squid as a treat for Lottie, but once she tried them she loved them. I had to put the leftovers high up so she could not get to them! 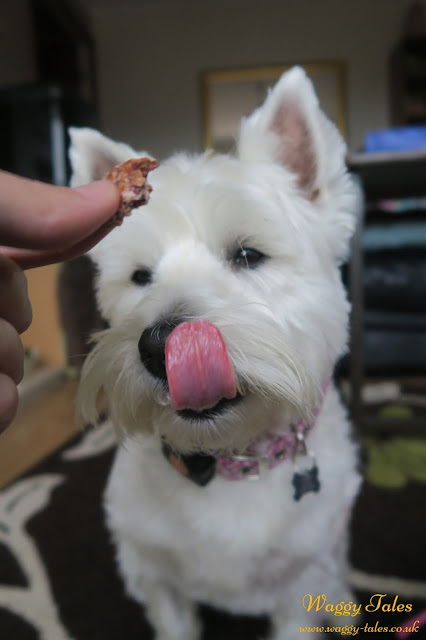 The squid bites are definitely a favourite in our household as they are ideal for clicker training, although Lottie would never refuse the Calamari rings either! The only thing I would say about them, is obviously because they are fish, they are stinky! Which although may bother the humans, makes them even more high value for the dogs. With simple natural ingredients along with the ethical sourcing of the fish these treats are top doggy products in our eyes. 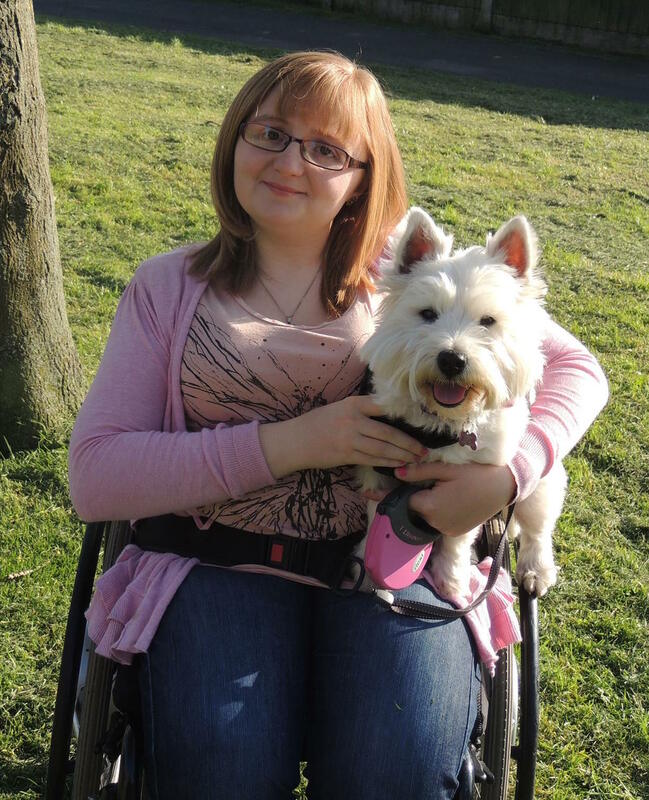 To discover the full Fish4Dogs range head over to their website by clicking here. 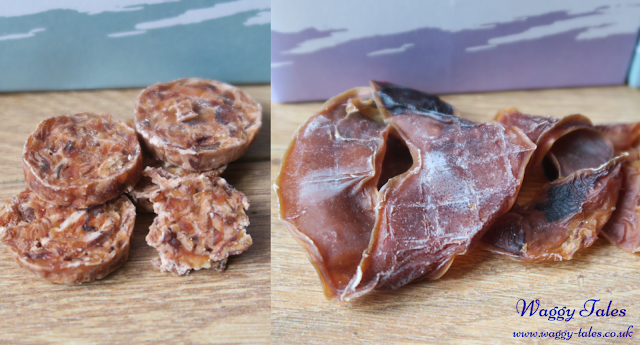 We received two packs of treats from Fish4Dogs at no charge in exchange for our honest and fair review of their product. All opinion expressed here are our own and truthful!